Big plans were made already before the season had even started. 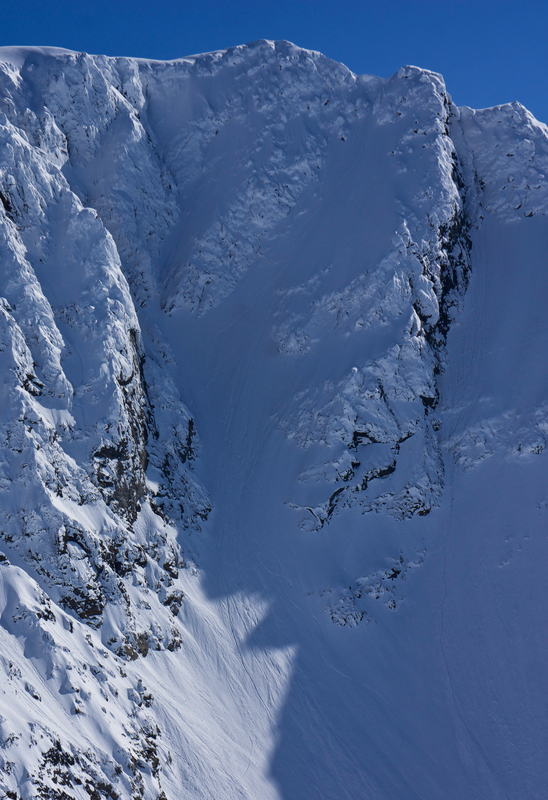 I wanted to get in to alpine terrain and ride bigger lines than before. 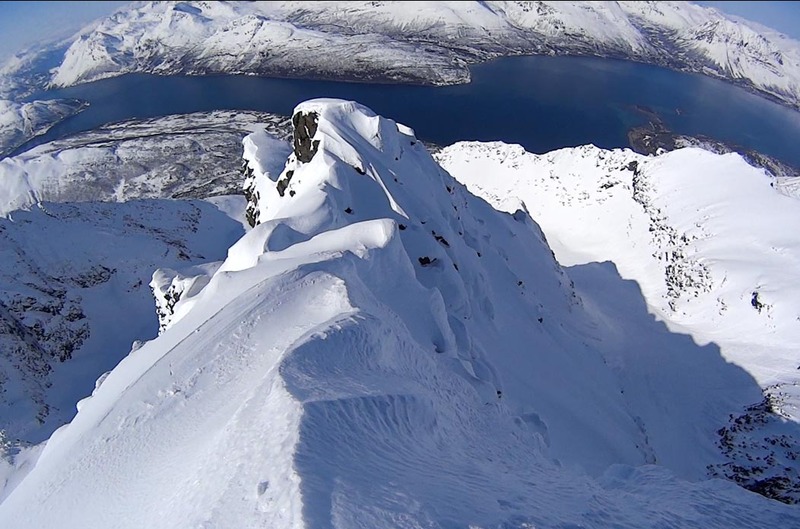 My goal was to ride lines in Japan, The Alps, Alaska and Norway – My dream locations. On paper the plan and schedule looked perfet. I was aiming for my best season ever and I was ready for it but Nature didn’t get the memo. Season 2014 turned out to be a lesson of patience. 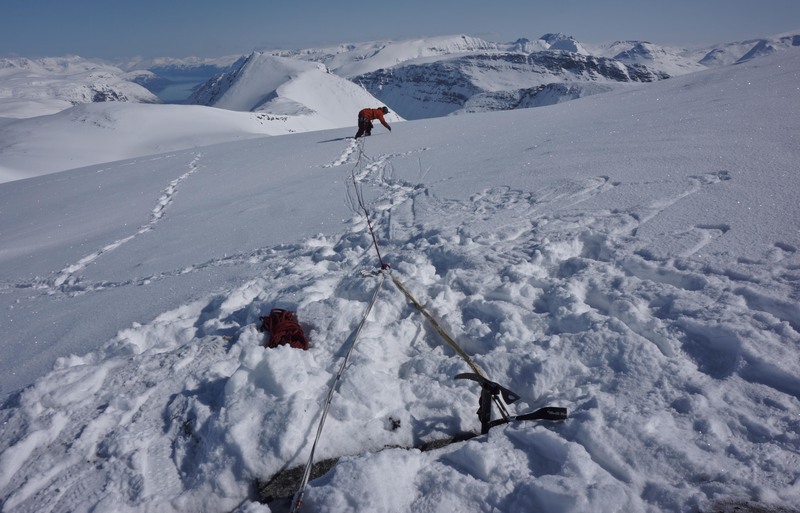 Everywhere we went the conditions forced us to change the plans. 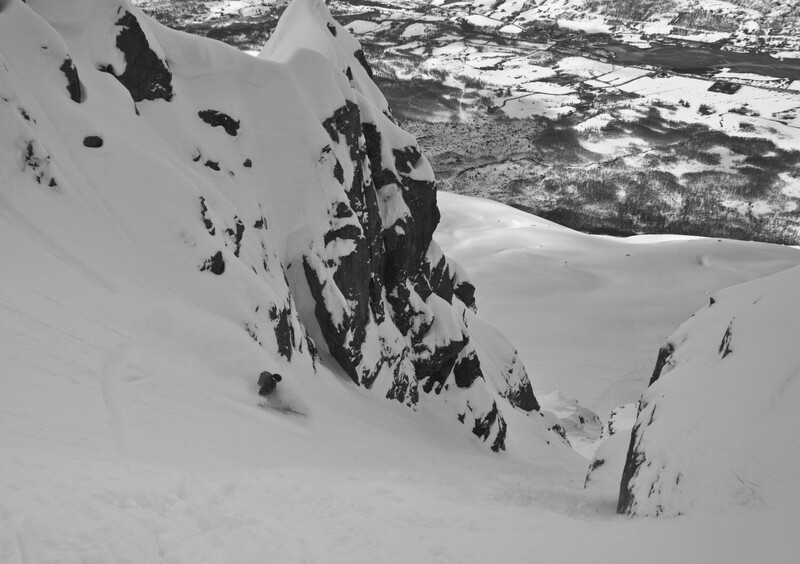 It was either snowing too much or not enough for the alpine terrain to open its gates to the dremy lines. It was May before I got to drop in to terrain I had been planning on. 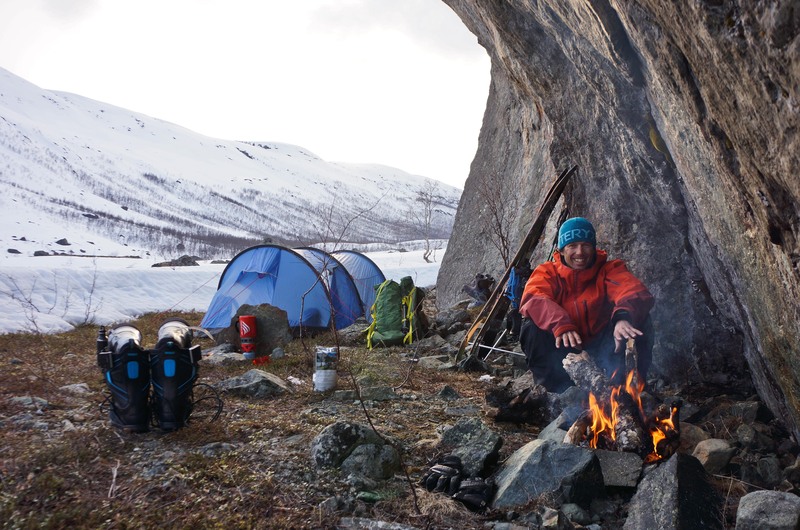 I spent half of March and April in Tamok and Lyngen filming with Approach&Attack crew. We had good snow and great times but got only glimpses of the bigger lines. 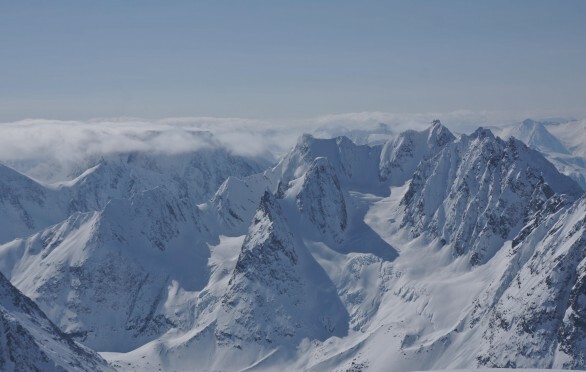 The conditions were just not right for the bigger stuff like it had not been in Japan, Alps or AK. I started to give up on the hopes of riding bigger stuff. It just was not happening this season. 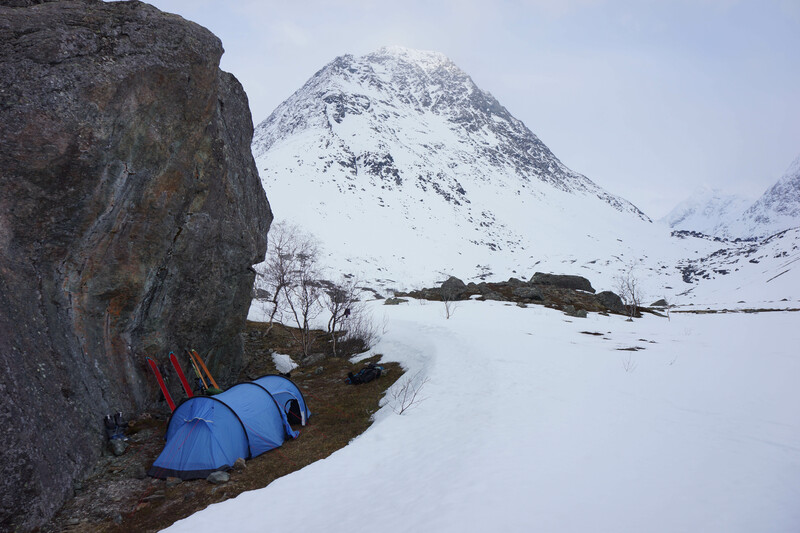 I went home end of April with thoughts of maybe still coming back from some spring snow. But then the forecast turned around. 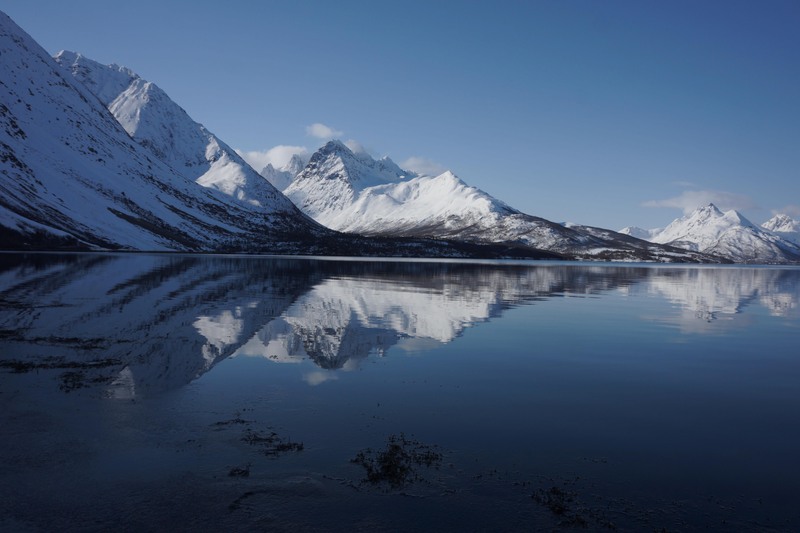 Cold low pressure hit northern Norway bringing lot of new snow still this late in the season and after a cold high pressure was supposed to roll in. I contacted Jonas Hagström and Justin Lamoureux and gave them the thumps up. The end of the long wait was in sight finally. It was still snowing when we met up in Tamok. 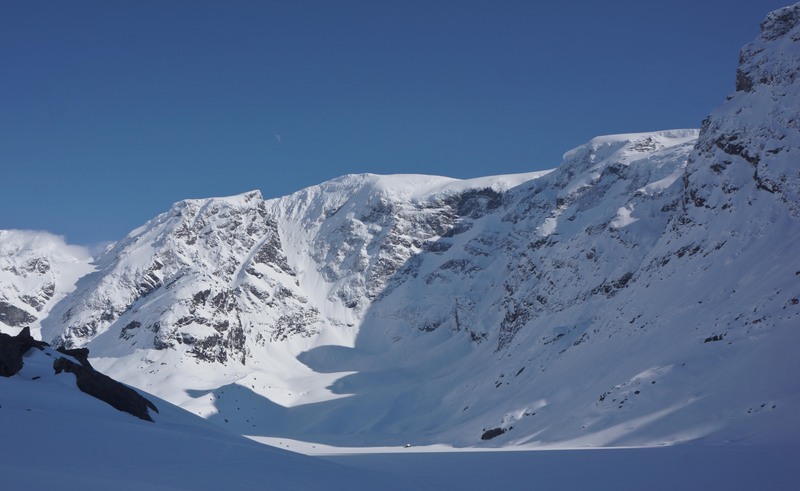 We decided to start straight with the Tamok classic, Öksehögget, since it was protected couloir and didn’t need clear skies for visibility. Conditions proved to be as good as I hoped. 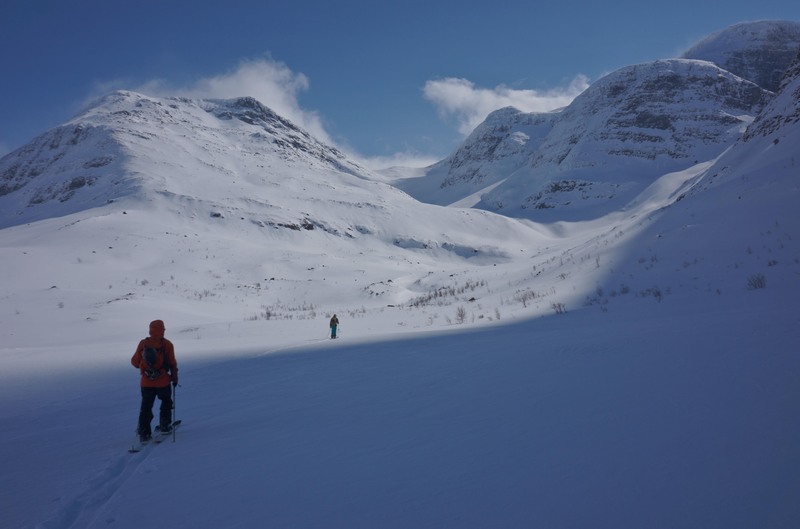 Month in the area had given a knowledge of the snowpack. The next day the strom cycle moved on, skies cleared and the snow was stable. It was on now! The warming may sun was the ony thing we had to watch out for. In May it didn’t really drop below the horizon anymore. 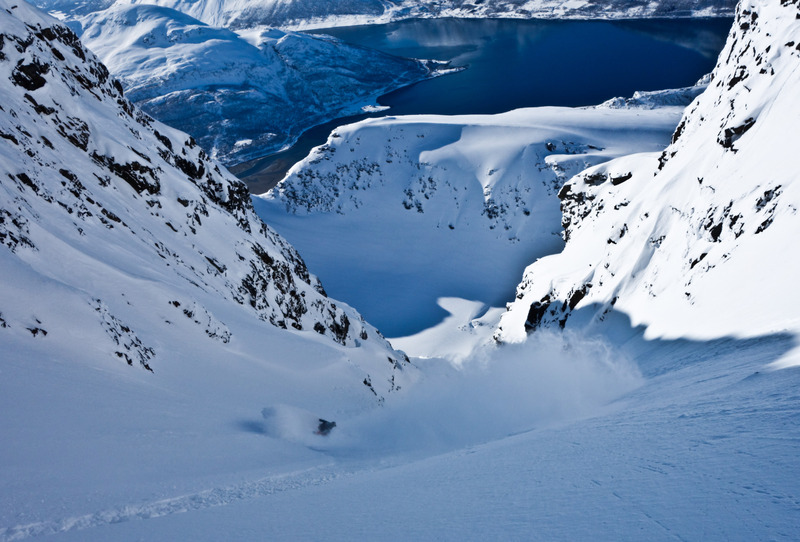 We shuttled between Lyngen and Tamok day and night riding classics and possible first descents of the area. “Good things come to those who wait” – proved to be correct. We rode and hiked two lines and over 2000m of vertical on the best days. Season truly climaxed at the very end! Öksehögget (english: axe cleave) – Tamok classic. 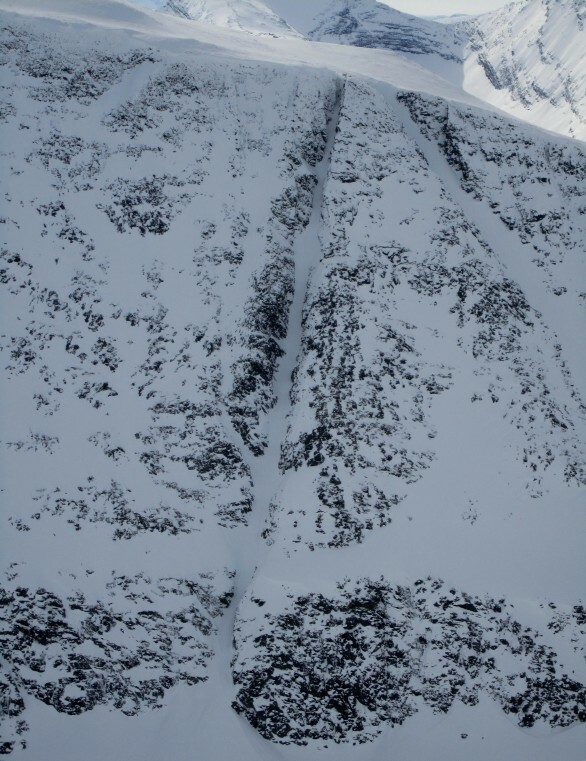 500m vertical of narrow and consistant 40-45degrees couloir. 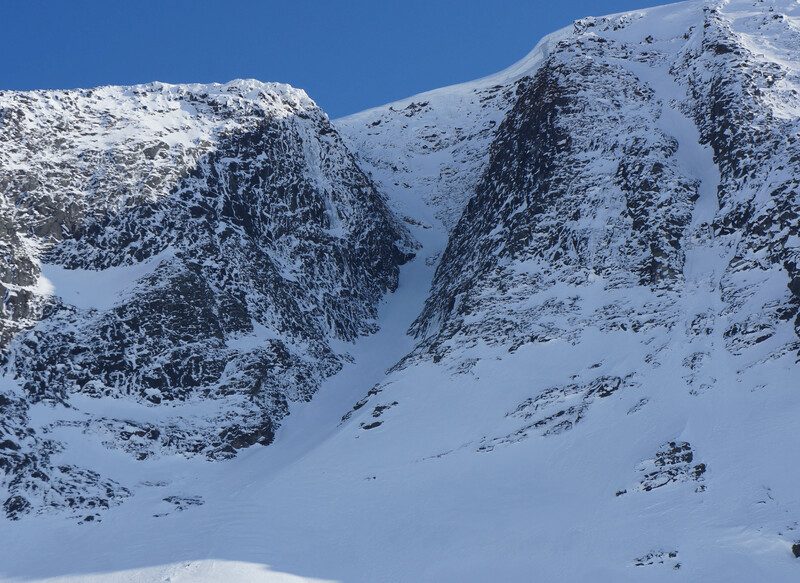 We had to back down twice from Istinden norht col. Still waiting to be ridden. 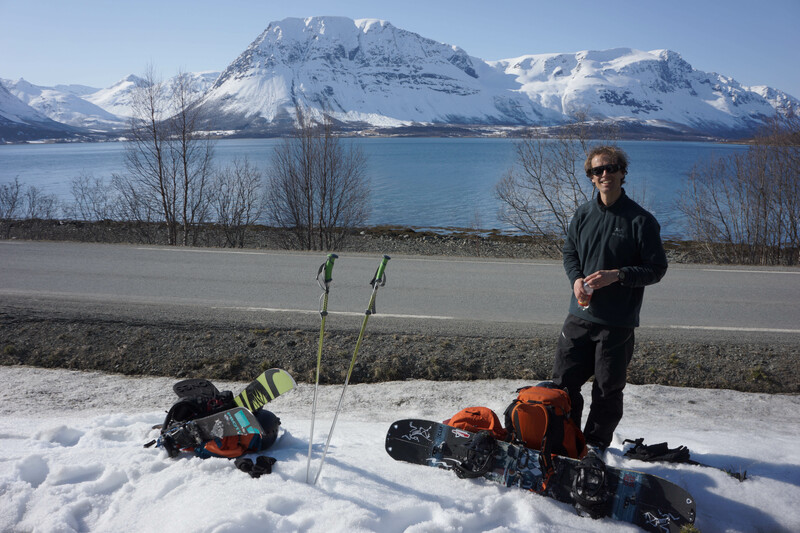 Check Justin’s blog for his take on the trip as a first timer to Tamok and Lyngen. Yesterday sounded like a really fun day. Mmmmm chocolate tasting. I am looking forward to the peach cobbler recipes. I think you are right, with the right fabric this could be a great bag.